On May 4, 2017, Laverna passed away peacefully in Sherwood Park at 79 years of age. She is survived by her loving family, Brenda, Ted (Tammy), Michael (John), Shaun, Pamela (Adam), and Mark; grandchildren and great-grandchildren; as well as numerous nieces, nephews, relatives, and friends. 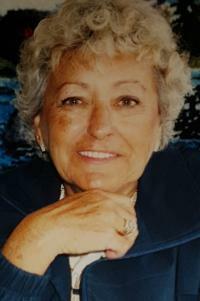 Laverna was predeceased by her parents, Maggie and Austin; sister, June; and daughter, Vicki. A Celebration of Life will be held from 2:00 p.m. - 5:00 p.m., on Saturday, May 13, 2017, at Antler Lake Uncas Community Hall, 1A - 52343 Range Road 211, Sherwood Park, Alberta. In lieu of flowers, donations may be made to the Heart and Stroke Foundation, Suite 144, 5241 Calgary Trail NW, Edmonton AB, T6H 5G8.